I have the full fat quarter collections of each of theses in my stash. Which one should I choose? When I am stuck in an indecisive place, I like to make a "quick" project. The last couple of days, I worked on a new bag. There isn't a pattern for this one. I just made it up as I went. 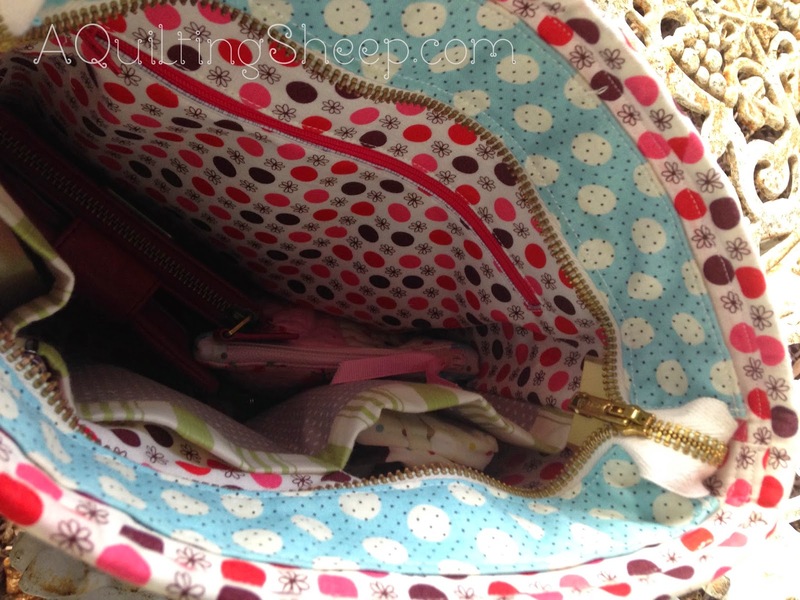 To make it structured, I used the same method as my Amy Butler Weekender bag. My first attempt at a recessed zipper. Really like it! 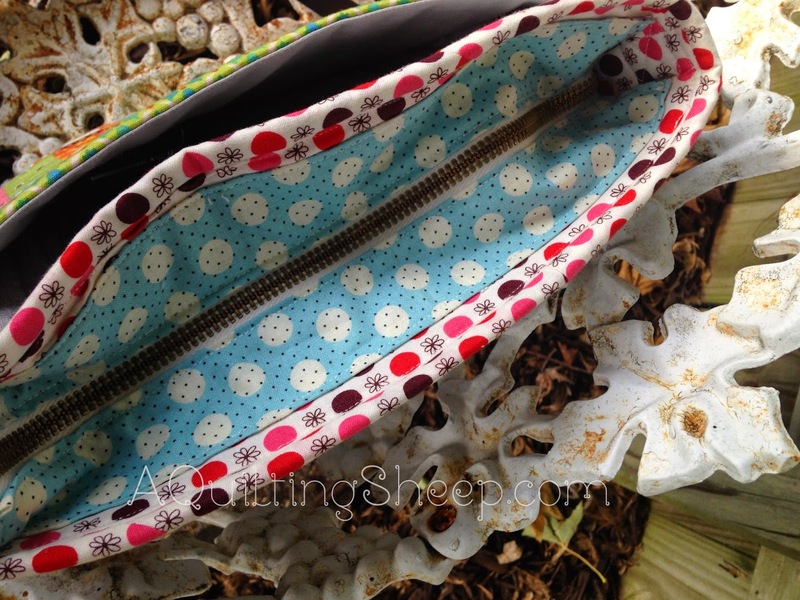 Slip pockets and a zippered pocket in the lining. I need to get out of the square rut and make a bag with some shape. @Lisa Walsh, that one makes the most sense to me since I have more of it and I can get a good mix. I just need to make the decision and not look back!! Meow.....PKM, and I am so jealous of your stash!!!!! PKM for sure! And I LOVE that bag - the zipper is awesome!!! If you look halfway down this page (http://chezstitches.blogspot.com/2013/12/the-farmers-wife-quiltalong-on-craftsy.html), you'll see the fussy cut blocks featuring roses. I think you could do this with your Pam Kitty fabric. What do you think? What a cute bag! Any of those fabric lines are wonderful! If you are leaning toward Pam Kitty, then go fo it!!! I vote for Pam Kitty! Once you start...don't look back at all! 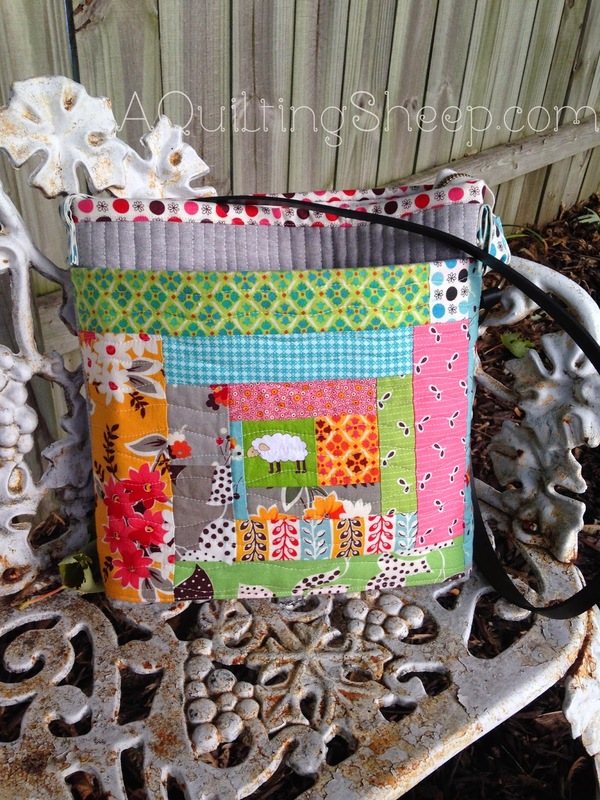 This is such a scrappy quilt and i think this line of fabric is purrrfect! Thanks for joining the Facebook group! I'm working on my Class One blocks today and hope to get a few posted! I think your bag is beautiful. I was leaning towards PKM only because I have some too. (the first line) forgotten the name of it I've had it so long. Been meaning to make a FW quilt too haven't done that either. So I guess my vote is for the pam kitty morning fabrics. My first inclination is B&C just because Camille's farmers wife quilt in those colors is so beautiful. But any of them would be lovely & if you're leaning towards PKM then by all means, go with your heart. And you're right, you can get more. Who says you can't mix some other prints in of the same colors, some B&C reds, for example. I can't wait to see what you decide. For me I would pick the PK but toss in some read like solids such as red, pink. Scrumptious is a beautiful line and I did use a few but not quite bright enough for my taste. Each of the lines would look great. Tough decision. Let us know what you decide. I love the bag and my vote goes to the Kitty fabric or Scrumptious...can I have 2 votes please? In my opinion, you can never go wrong with Pam Kitty fabrics! I love them! Any of the lines are gorgeous. Just add some dots, ginghams, and solids. Sweet bag. You will just have to make one of each in all three. These are my favorite fabrics in the whole world. Your bag is adorable! Love the fussy cut sheep! I can't say I'm "making" the FW quilt. I have just 11 blocks done and those were done last year. 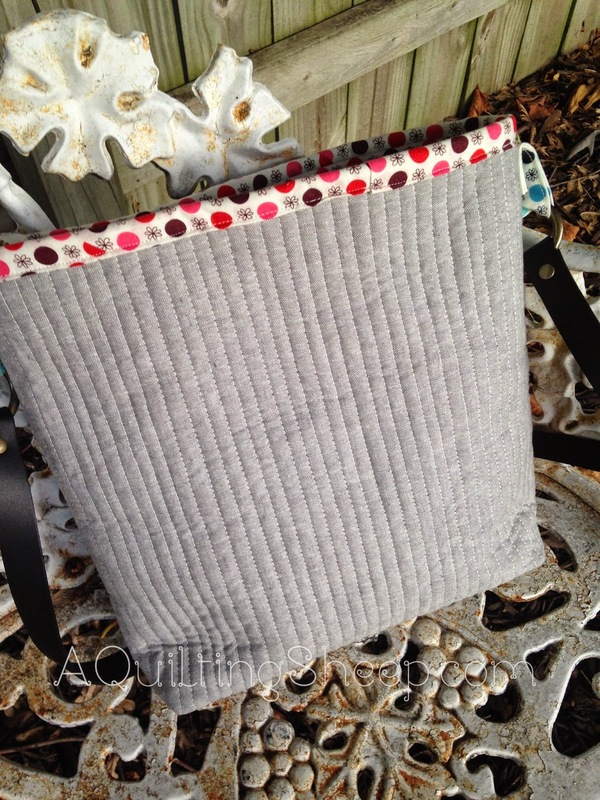 I'm using Bonnie and Camille fabric - a FQ bundle of Ruby got me started. I found using just those fabric was just to....not sure what the word I'm reaching for is. Anyways, I brought in other lines, some solids and bits of other fabrics as well. I think all my blocks have some Bonnie and Camille in them except 1. I guess what I found is that a quilt that big needs more than 1 fabric line.